We think it’s worth booking a tour when it will enhance your vacation. But not all tours are created alike. Sometimes a tour is the highlight of the trip. But some tours will leave you remembering only the long bus ride or how you could’ve seen the same sights without the hefty price tag. 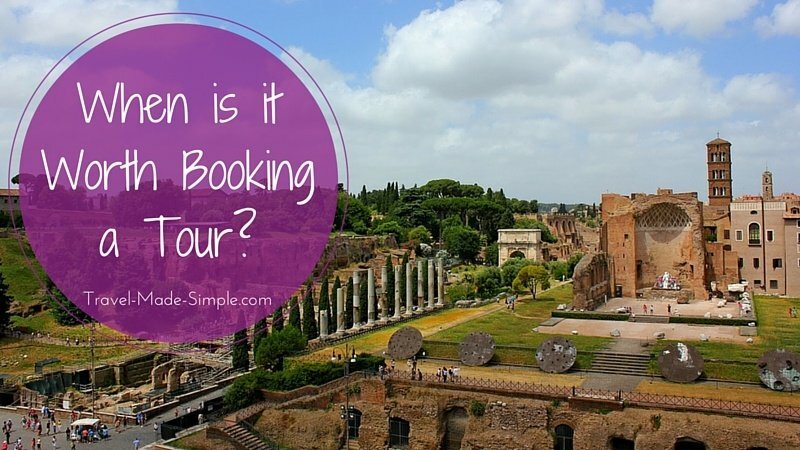 So how do you know which tours are worth booking? This post will explore different kinds of short tours and day tours that we think are worthwhile. There are some things you simply can’t do without a tour. A scenic flight or a hot air balloon ride will provide a fantastic view over a city or landscape. You can’t get that experience on your own. 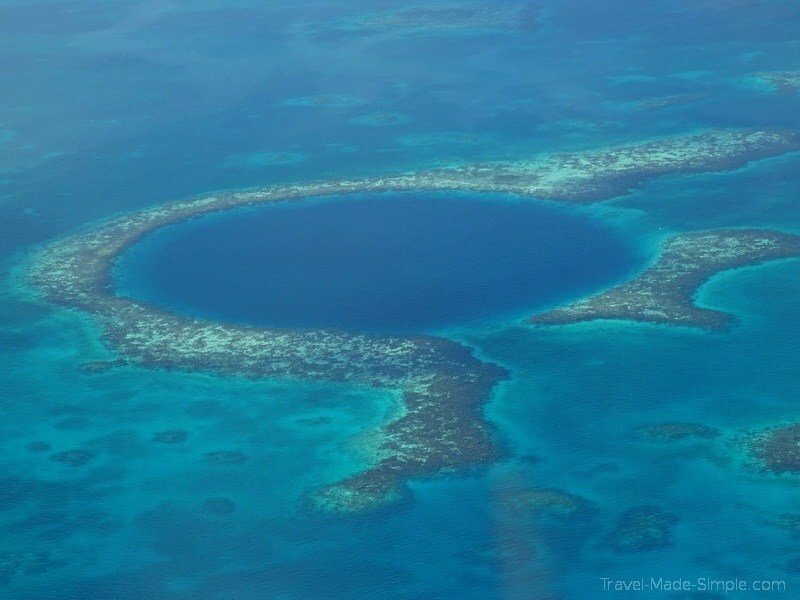 I once took a scenic flight tour over the Blue Hole Reef in Belize, and it was amazing. The view from above the reef was spectacular, and I never could’ve seen it like that on my own. It’s worth booking a tour when the experience it provides you is unique, interesting, and can’t easily be recreated on your own. We love food tours. LOVE them. What better way to get to know the culture than through its food? You can certainly go to restaurants and try the local cuisine on your own, but a food tour goes way beyond ordering things from a menu. A guide on a food tour knows why certain foods are so important. They know about typical dishes you’ve probably never heard of. And they can teach you about customs relating to food that you won’t get from walking into a restaurant on the main square that has menus in 10 different languages. 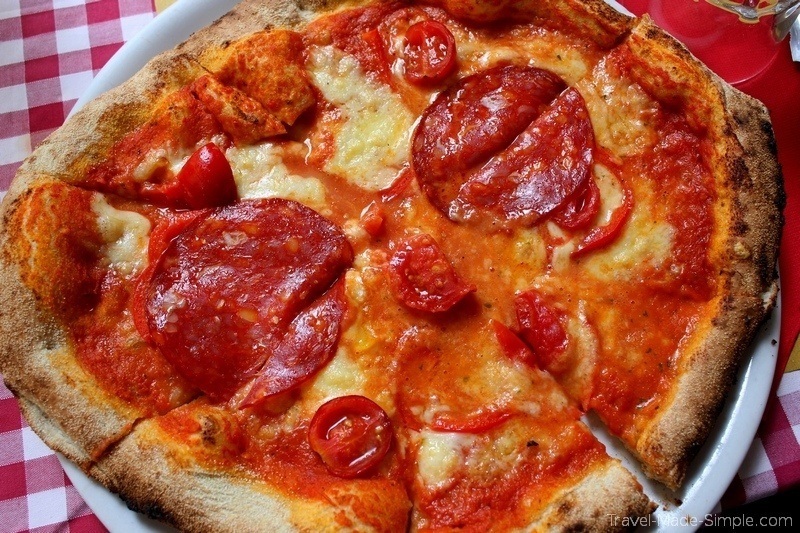 These food tours in Italy have introduced Andy and I to foods we didn’t know existed, showed us what real gelato tastes like, and even gave us the opportunity to make our own pizza. A food tour in Amsterdam taught me about the multi-cultural aspects of the city and how that has influenced the city’s cuisine. A food tour in Paris made me realize I actually like French cheese a lot more than I ever thought I did. Food tours are worth booking because food is such a big part of what makes the culture the way it is…and they’re so much fun! We have a guide on how to pick the perfect food tour as well. Sometimes you want to go somewhere that’s a little tricky to get to on your own. Maybe there isn’t good public transport, or maybe renting a car doesn’t appeal to you. Sometimes having to drive can really take away from the sights you want to see. It’s worth booking a tour when having someone else handle the transportation means you can sit back and truly enjoy the experience. I booked a 2 day tour on the Great Ocean Road in Australia because I thought driving myself would make it too hard to admire the view. Plus I was nervous about driving on the other side of the road! 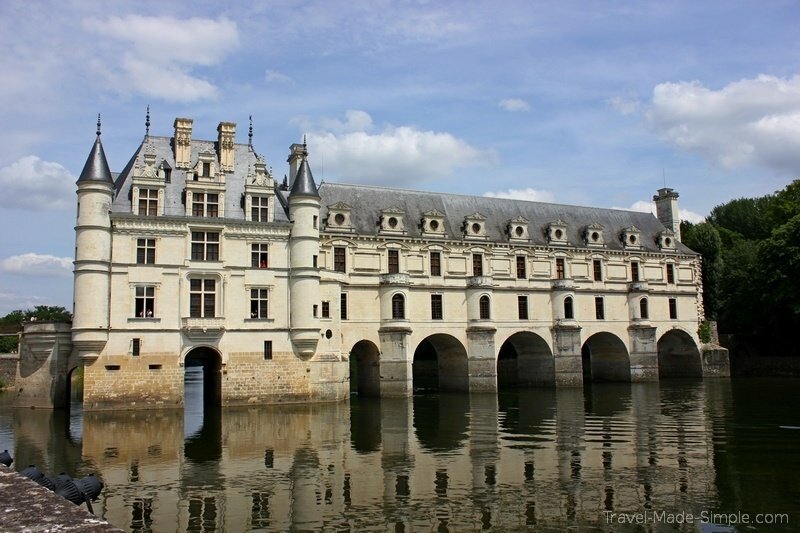 My best friend and I booked a Loire Valley Castles and Wine Tasting tour from Paris because taking trains wouldn’t get us close enough to the castles, and renting a car seemed like a hassle. Plus the guides on both of these tours provided interesting information that really helped us enjoy the sights. If a tour can get you exclusive access to an area the general public can’t get to, it’s probably worth booking. The same is true if you can get in before or after hours without the crushing crowds. These are also unique experiences since not a lot of other people get to see the sights the way you can on a tour like this. Andy and I took this VIP tour of the Colosseum in Rome, which got us access to the underground sections and the third tier where we could look down at the amazing ruins. There were no other tourists around, just our group. We also took this early morning Vatican and Sistine Chapel tour where we had the chance to see the Sistine Chapel before it opened up to the general public. It was painfully early, but so worth it when we actually had room to breathe in there. We saw the chapel later in the day when the crowds arrived, and it was claustrophobic. 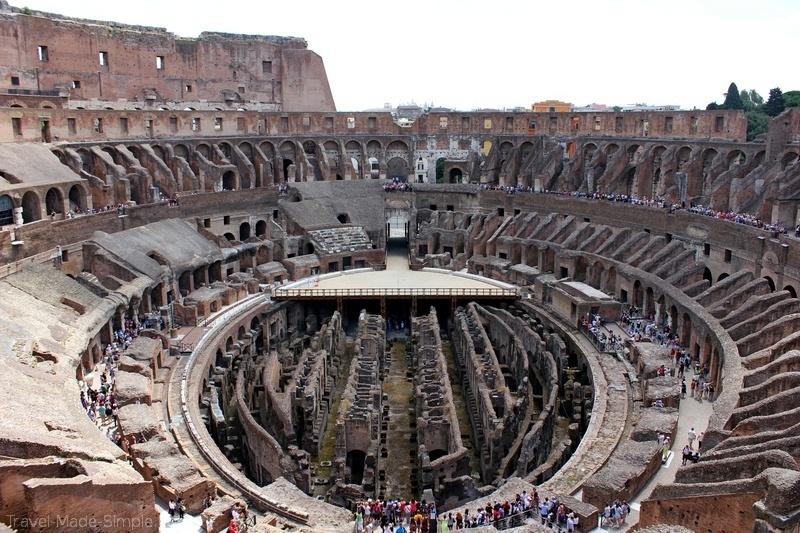 There are also nighttime Colosseum tours and nighttime Vatican tours that I would try on a future visit. We all hate waiting in line. It’s tedious, and it feels like a waste of your precious vacation time. It can be worth booking a tour if it includes skip-the-line access so you can spend more time enjoying the sights. Lines at the Eiffel Tower can take hours in the summer, so my best friend and I booked a skip-the-line ticket, and it was well worth it. This is obviously up to your personal taste, but there are a few kinds of tours we don’t think are worth booking. We once saw a tour listing in Rome that basically took you to the Spanish Steps, the Trevi Fountain, and to a gelato shop. While I always think it’s good to learn about the sights from an expert while you’re looking at them, this tour felt too basic. The Spanish Steps and the Trevi Fountain are iconic sights in Rome, and you should see them at least once, but I would want to book a tour that went more in depth and showed me more of the city. 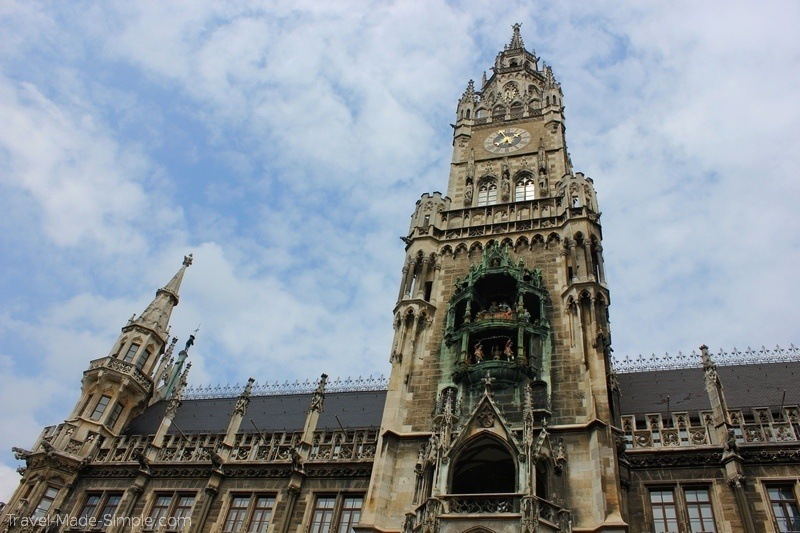 We’ve also seen tours that take you on a day trip from one major city to another, like a day trip from Prague to Vienna. It takes at least 4 hours to get between those two cities. So you’re looking at spending a minimum of 8 hours on a bus round trip in one day. That gives you 4 to 6 hours to see one of the greatest cities in Europe. Not only is that not nearly enough time to see Vienna, but it’s also an extremely long amount of time to spend on a bus in one day. In many cities, you’ll find free walking tours that take you around to the major sights and tell you about the city’s history. I’ve taken a few and found them to be quite good. But in big cities, the tour group tends to be huge, especially during high season. The free walking tour I took in Munich had over 50 people on it. This is because people like free, and there usually aren’t limits on how many people the tour will take. The large group can be overwhelming and it can be hard to hear the guide, so sometimes you’re better off booking a normal paid tour. The tour guides for free walking tours are usually independent contractors. Often the company they contract with does not pay them, but the guide actually has to pay the company for each person on the tour. The idea is that they get to keep whatever tips they earn above that amount. But not everyone tips, and some people only tip a few dollars/euros. And since the group is so big, some people leave halfway through, so they don’t tip either. My point is, if you decide to take one of these tours, PLEASE tip generously. We like to use Viator to find tours. They have listings from a wide variety of companies in cities all around the world. Since it’s hard to know what tour companies exist in each destination we’re going to, Viator saves us a lot of time and headache by being able to look in one place. Yes, we are in Viator’s affiliate program, but we use them for our own travels. 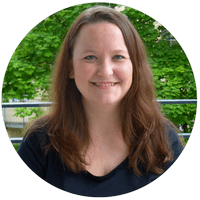 If you book through Viator after clicking a link from our site, we’ll earn a small commission, at no additional cost to you, which helps keep the site running. Once we pull up the city we’re visiting, we’ll look through their top tours to see if any of them appeal to us. Anything unique, quirky, or interesting gets opened in a new tab. 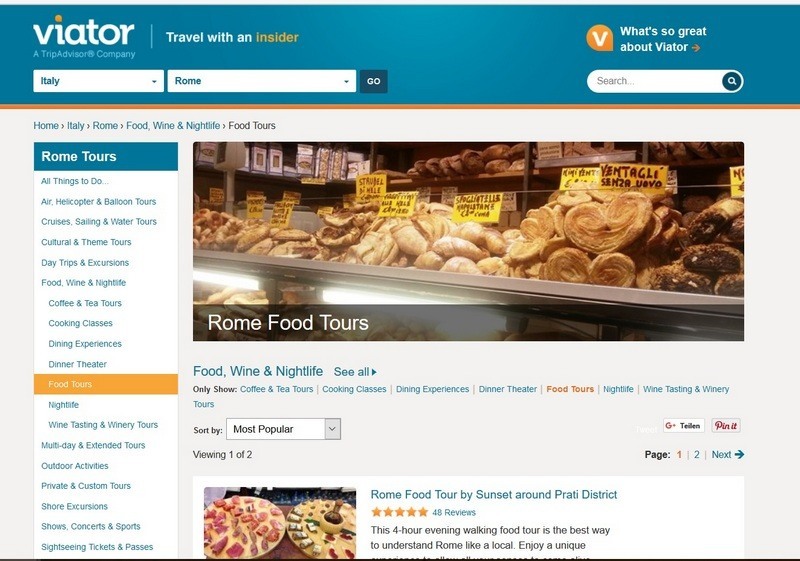 We also click on the food section to find good food, beer, or wine tours. You can also sort the tours by tons of other categories, such as water tours, outdoors, cultural tours, walking and biking tours, and so much more. 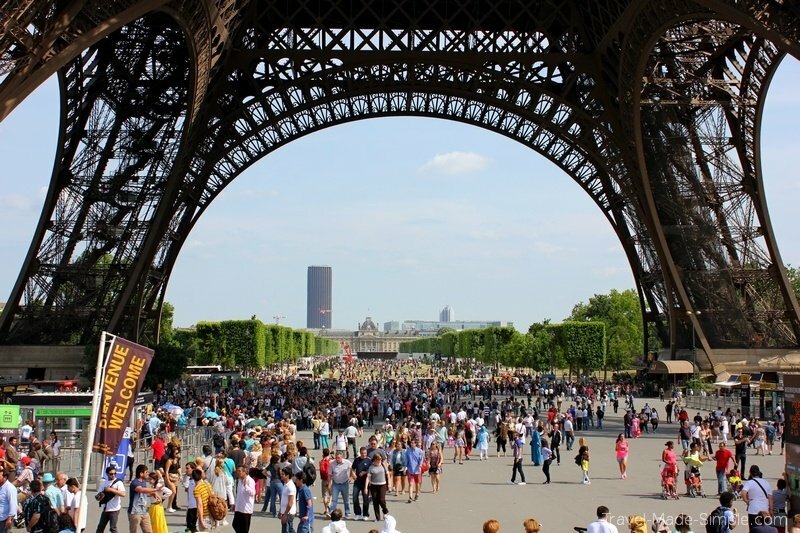 Or you can choose a specific attraction in that city and see all tours related to it. Having these filters really helps us find exactly what we’re looking for, and sometimes fun tours we didn’t even think to look for. Like anything else, it’s important to read the fine print. Make sure the timing and logistics work with your schedule and interests. Make sure you understand what is and is not included. And read the reviews to see what other travelers thought of the tour. 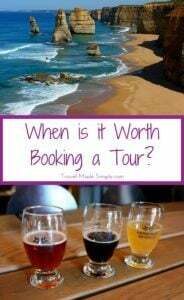 There are many reasons why it is often worth booking a tour. Tours can be a wonderful way to enhance your vacation by teaching you about the food, culture, and history of the place you’re exploring. They can also provide you with treasured memories of those unique experiences you can’t get otherwise. Great tips! I agree with most of them — especially the transportation issue. When I went to Stonehenge, it was so much easier to pop on a bus than trying to figure out a car or anything. 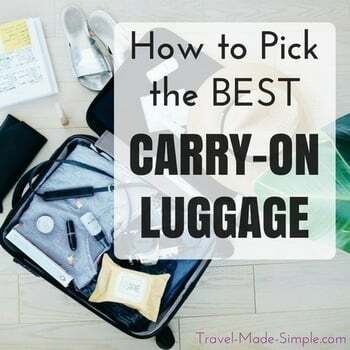 Yep, sometimes renting a car is not worth the hassle, and booking a tour can be a great way to take care of transportation as well as getting some interesting info about the place you’re visiting. Thanks Emily!